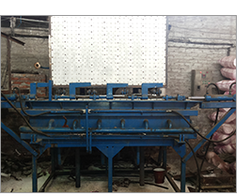 Industrial Thermopac - Manufacturer of thermocol pre-expander machine, thermocol sheets & thermocol liners for helmet since 1999 in Faridabad, Haryana. With years of experience, we are engaged in manufacturing, supplying and exporting an extensive range of Thermocol Sheets. These Thermocol Sheet choices find use in different areas like for packaging applications, for art & craft purposes, as a stationery/office supply and others. 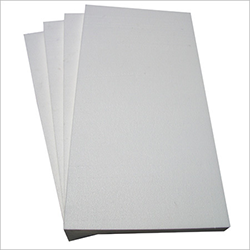 As quality Thermocol sheets, these come with superior bonding strength and resistance to heat/cold which makes these suitable for use in insulation based processes. Having smooth finish, some of the other areas where these are used in include for sound proofing in construction industry, for packaging of products and others. Further, its resistance to water and major volatile compounds also make thermocol sheets highly preferred and used. 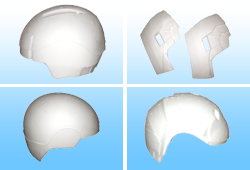 Our well-known company is engaged in manufacturing and supplying a wide array of Thermocol liners For Helmet and its parts. The offered range is manufactured using high quality raw material and is subjected to stringent tests to ensure its flawlessness. This product is widely used inside helmets as a protection from head injuries against accidents. We ensure that this range is delivered at the clients’ end within the promised time frame. Backed by a team of experienced professionals, we are manufacturing and supplying an extensive array of Thermocol Packaging such as Thermocol Beads, Thermocol Block, Thermocol Sheet, Thermocol Boxes and Thermocol Packaging. The offered products are fabricated using the finest grade raw material and advanced techniques in compliance with the international quality standards. Acknowledged among our valuable for their water resistance, durability and a clean finish, these fitments are highly demanded in the market all across the nation. 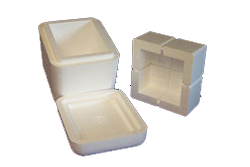 We have in-store for our clients a wide variety of Thermocol Boxes, which are manufactured using quality raw material. In order to meet the varied requirements of our clients, these are being offered by us in numerous shapes and thus, high in demand by them. Our clients can also avail these from us at competitive prices. 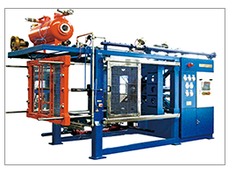 Thermocol Block Moulding Machines is used to produce solid block to size 2000mm*1200mm*500mm. We can manufacture blocks from density 10KG/m3 to 35KG/m3 and can provide sheets of different shapes, size and thickness. AUTOMATIC SHAPE MOLDING MACHINE WITH VACUUM SYSTEM Type: SPZ-1400TB.PSZ series automatic vacuum shape molding machine are for producing various packaging materials. Firstly, EPS material through expanding, drying aging are automatically conveyed to mold. Secondly, fill steam in mold to fuse material, and then cool down the molded part. 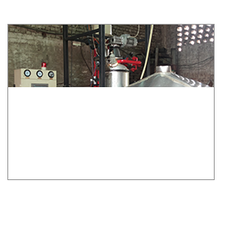 At last, push out products with compressed air and ejectors. 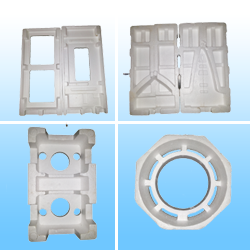 EPS products are suitable for packing instruments, gauges, household appliance, industry products, china, glassware and all kinds of brisk products.